**Limited Availability, and made to order. Please contact me before placing this order, to make sure your item will arrive in time for your needs! Each wand is uniquely handcrafted, and variations will be embraced from wand to wand, as each piece of wood is unique** (This item may or may not be crafted in time for a deadline, so please contact me in advance to find out ship times, especially around Christmas/Yule. If it is not ready for your deadline, a gift-card and notification can still be sent to your recipient, letting them know that their special tool is on it's way soon.) This wand is custom made, and can not be 100% guaranteed by a specific date without a consultation first. Just message me! However, if you desire to give this as a gift fairly soon, I can create a lovely e-card that you can send to the recipient, to let them know it's arriving shortly, and that you gifted it to them. Perfect for Samhain or Halloween, and the upcoming Yuletide season! 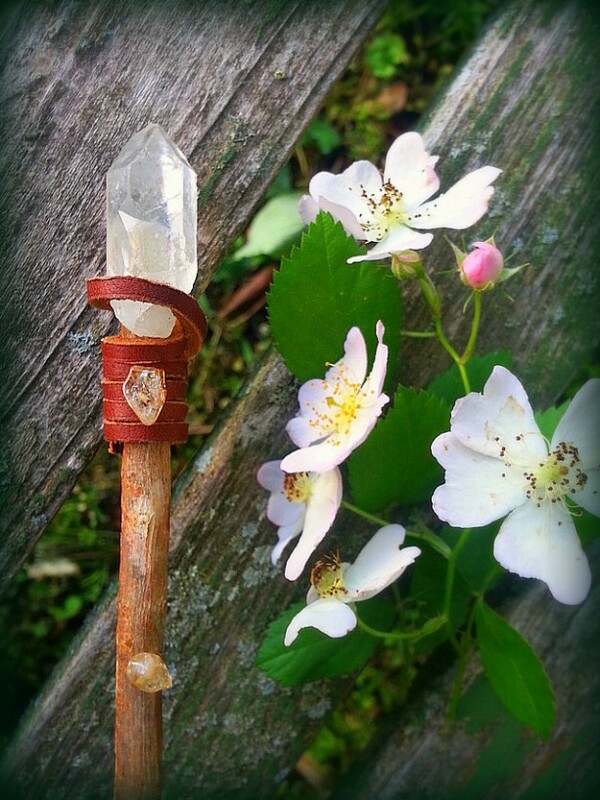 It is a very special wand, with a rough quartz crystal tip, and the wand is embellished with citrine chips. It is pine. 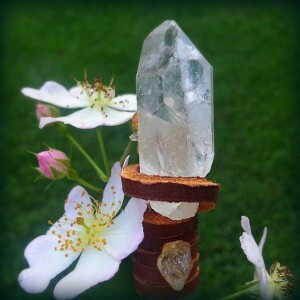 A perfect wand for everyday use, cleansing/banishing, and directing energy. 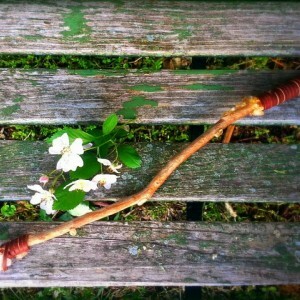 This beautiful wand is made from a very old Pine branch. The area of our land where we harvest these beautiful branches has been established since 1964. 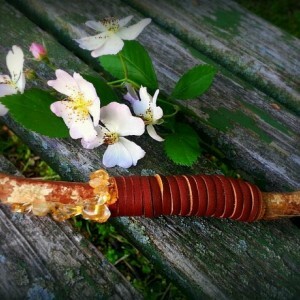 This is an amazing wand for Protective and Cleansing work, and Psychic Awareness. After the pine branch is cured, the tip is hand whittled. It is polished slightly by hand. 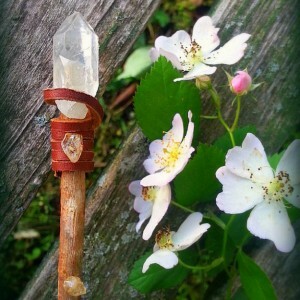 It is tipped in a Quartz crystal, which is tied on with sienna red/brown leather lacing. The handle is wrapped in sienna red/brown leather. The handle is detailed with several citrine chips. Quartz crystals are used for clarity, and is a master stone for amplifying energy, storing energy, it is powerfully protective, beneficial for manifesting and healing, harmonizing and balancing one’s environment. 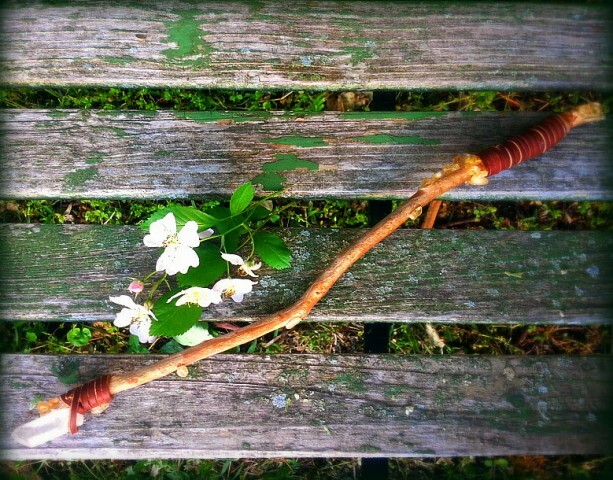 Pine is a traditional wood for wands, representing strength and masculinity. 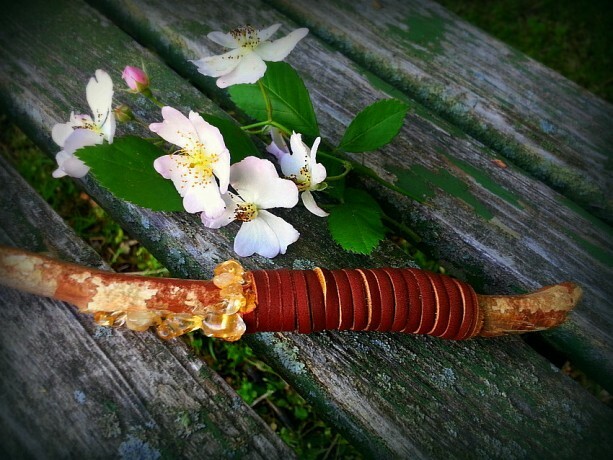 This lovely wand is a great wand for a special Father's Day or Graduation gift, and it comes with a white hand-sewn rustic cloth case for its storage, tied with a leather strap. Each of these wands is carefully handcrafted to order, and there will be variations from wand to wand in the uniqueness of the branch and the crystal. This wand is approximately 18-20" long. Blessed Be!